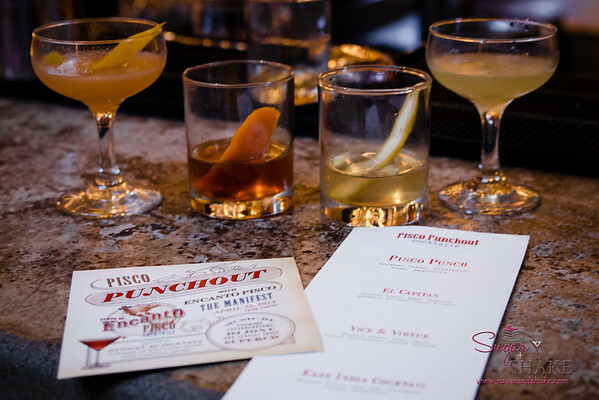 The evening prior to the tasting seminar, The Manifest did a special offering of four different pisco cocktails so that the general public could be introduced to the spirit. From left to right, we have the Pisco Punch (if you’ve heard of pisco, it’s probably because of this drink or the Pisco Sour), El Capitan (with cacao bitters), Vice & Virtue (Scotch-y, ew!) 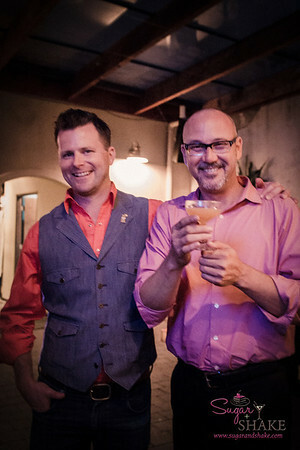 and East India Cocktail (with rum and pineapple). My favorite was the East India. The pisco cocktail menu was a nice way to experience pisco, but I still didn’t have any idea what pisco itself actually tasted like. The seminar the next day changed all that. 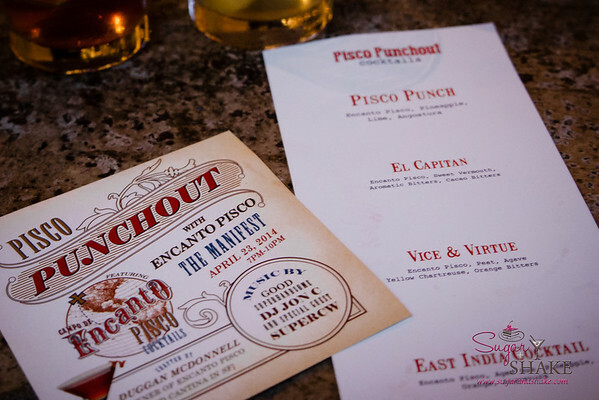 Led by Duggan McDonnell, co-founder and CEO of Encanto Pisco (left, with Joey Gottesman of Young’s Market), the tasting gave us the chance to try five different piscos from the Encanto line—three that are readily available for purchase, and two special batches that are still being aged. Duggan told us that in Peru, guys go to the bar and buy pisco by the bottle. They share the bottle (and a single glass) among a few of them, drinking it until it’s gone, then they order up another. I don’t think I’d fare well in Peru. 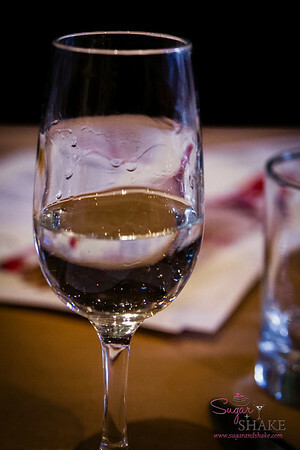 The most common type of pisco is Acholado—meaning “of the cholos,” i.e. “of the people”—which is a blend. 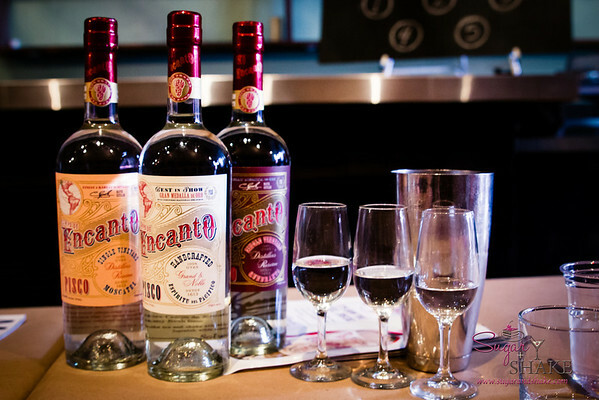 A distiller like Encanto will carefully select a mix of red grapes, for body, and white, for aromatic qualities. Like in wine, the particular blend brings a different character. There are also single varietal piscos. To be a true Peruvian pisco, the spirit must come from one of five designated areas—it’s another of those regional products like Champagne, Parmigiano Reggiano or Kona coffee, where origin is inextricably part of its identity and if it wasn’t “born” there, it’s not the real deal. Additionally, only eight varietals of grape are permitted to be used, all of them old heritage vines, and the grapes must be hand-harvested. Pisco is a single distillation spirit and it’s not diluted before bottling. First up, the first of Encanto’s releases, their “Grand & Noble,” an acholado. It’s a blend of four varietals: Quebranta (74%), Torontel (6%), Moscatel (4%) and Italia (16%). So, what happened was that my Glass #1 and my Glass #2 were mixed up so my notes make no sense (and also they are a bit illegible). Basically, I thought the Grand & Noble was OK, but it did not convince me that I would want to drink this spirit straight. 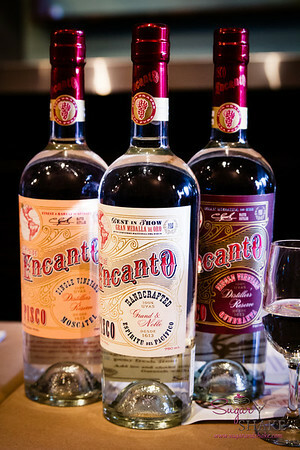 That’s OK, though, because Encanto really touts this one as a cocktail-friendly spirit that is good for mixing. The next two were single varietal piscos, one made strictly from Quebranta grapes (Quebranta is the most common type of pisco grape) and the other from Moscatel, which, as you might guess from the name, is the same type of grape used for moscato wines. Unsurprisingly, I liked the latter best. Several people identified a bell pepper taste in the Quebranta, and that is one of the flavor elements that Encanto calls out on their tasting notes. Although I couldn’t single out that particular aroma or flavor, it doesn’t surprise me that I didn’t care for this one. The Moscatel had more of a fruit quality and the lingering taste was more to my liking. The last two samples were works-in-progress and have not been released. Even when they are, I don’t exactly hold out hope that we would see them here. Anyway, both were Mosto Verde types, which are young distillations. Because the fermentation process has been stopped early on, there is still a great deal of sugar left, so the pisco is sweeter, more flavorful and less alcoholic. It is considered the premium pisco and therefore it’s more expensive. So of course it’s the one I liked the best. I have an uncanny knack for loving the things I can’t afford. 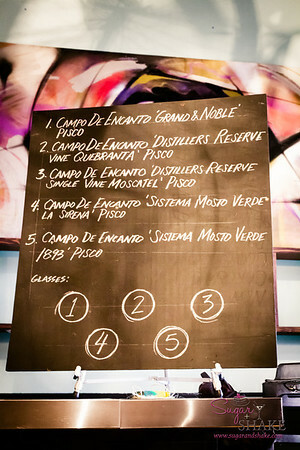 Thus concluded our pisco education. Drinking it straight was a bit too harsh for me, but I think it’s an interesting spirit to mix cocktails with since it adds an element of fruit and flowers without adding much sweetness. I really enjoy tasting seminars. I like the chance to taste different iterations of the same product or brand next to each other and I find it fascinating to learn about what goes into making them. Knowing why it has a particular taste makes it more enjoyable to me. If you like tasting seminars or you want to learn more about spirits, The Manifest frequently offers ones that are open to the public. Follow them on Facebook , Twitter or Instagram to find out when they’re being held. Disclosure: Sugar + Shake were hosted by Encanto de Campo and The Manifest, but no compensation was received for this post, and the opinions expressed are strictly my own. My husband and I just returned from Rapa Nui, Chile and Argentina. He would love to find a bottle of pisco sour in Honolulu where we live. Is there a store where you can purchase the grappa alcohol or ready made pisco? It would be a nice Christmas surprise for him. Mahalo for reading! While I haven’t yet seen this particular brand in stores, I have seen other piscos, as well as grappa. Our favorite liquor stores are Tamura’s (on Waialae & one in Kailua) and Fujioka’s (Market City). 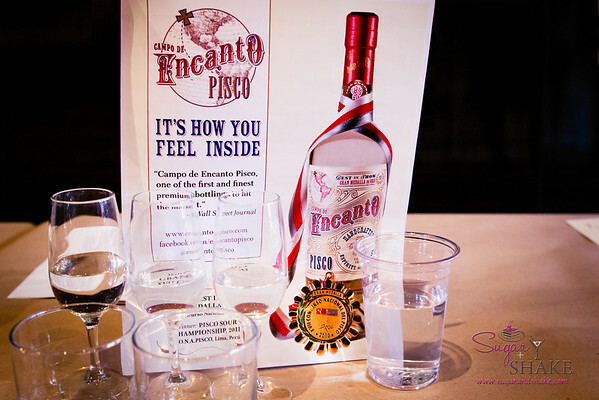 The pisco is straight; you’ll have to mix your own sours, but they’re really simple! And BTW Ingrid, for your knowledge, Pisco is from Peru.